Cost : $20(Tecmo) or $50(both tournaments) via Paypal to [email protected] If also participating in our February 23rd. NHL94 tournament, it's only $10 to enter Tecmo. Format : Swiss followed by single elimination bracket. Prizes: Payouts to top 2 players will be made in a 65/35 for 1st and 2nd place respectively. Payout is directly tied to number of entrants, and total entry fees collected. Approximately 3/4 of entry fees collected are paid out in prize. Assuming 20 players collecting $400, $300 would be paid out $195 for first place, $105 for 2nd place. All entrants will be automatically entered to win a Gamerztek 8 Bit HD system. Register: send $20 via friends and family paypal.me/trojan1979, if also wanting to register for NHL94 please fill out our registration form https://tinyurl.com/2019NHL94. You are considered signed up once paid. 2. We will not keep track of teams used during group play. Choose the team that best suits you in group play under the tier list guidelines. 3. Customizing Playbooks and Lineup Changes. You are allowed to change your selected team's playbook before each game. Checking the change / substitution screen is allowed during gameplay. Once per quarter for each player is the recommendation. 5. No ties. If a game is tied when regulation concludes, competitors will proceed to OT. All OT’s will be 5-minute sudden death periods. If no one scores in the first OT, the second OT will be only the first quarter in a new game. This process will be repeated until a winner emerges. So that one competitor does not start with the ball in every OT period, the receiving team (i.e. team that gets the ball first) shall alternate beginning with the second OT period. 6. Defensive Lineman Lurching ﻿/ Nose Tackle Dive / Any D-Lineman Dive is ILLEGAL. You must engage a lineman or go around the tackle box before engaging a player with a D-Lineman. This rule does not apply on Shotgun/Red Gun Z formations. This rule also does not apply on field goals or extra points. 8. Tournament Disputes: Trojan1979 is the sole tournament referee for dispute resolution unless stated otherwise the day of the tournament. 9. Competitors are allowed to bring their own controller, but it has to b﻿e an offici﻿al Nintendo rectangle controller, official Nintendo dogbone controller, or a Hyperkin, Cirka, Gamerztek, or Old Skool 3rd party controller. We reserve the right to inspect and deny use of any controller for any reason. This professional live coverage will be voiced and broadcasted by Troy GBLAN, organizer and voice of the GBLAN Online Tecmo Super Bowl Tournament. Troy will be showcasing the best players this tournament has to offer from opening kickoff until the champion is crowned! I encoura﻿ge everyone to check out﻿ tgfnretro on Twitch and follow as they cover Tecmo events all over the country. Have you ever wanted to be a commentator at a Tecmo Tournament? Maybe you just want to cut a wrestling promo Tecmo style? This is your opportunity! This stream will be run by The Retro Sports Gamer teams. The goal of this stream is to capture the natural essence of the tournament and get as many unique players on stream as possible. Want to play on stream? Just ask! We will do our best to broadcast your game next. Players that register and can't make the tournament with at least one week notice will be fully refunded. Players in bold are paid in full. Players in italics are staff or event sponsors and no fee is collected. It appears there is a character limit on my posts. When this does come down the pipe, in order to provide all of the needed details, I'll need this increased, or will need a moderator to modify the post to include the additional details. Thanks to all for their consideration. I could not reproduce this error nor does anything show up in the error logs. Also, it's not an option to set a character limit on posts. One thing that doesn't show up in the error logs would be a flood control error so if you tried to make one post right after the other it wouldn't let you and you would see this red text. If you are able to repro please email me a screen shot so I can further investigate. @trojan1979 To confirm what Mort said, yes I plan to do Tomczak on March 2, but either way I'm planning on avoiding this weekend because it doesn't work for me anyway. Glad it's working out for both parties. Best of luck on your tournament! This event is officially live. I will update with any notable items, number of players that have signed up, and prizes. Registrations for Tecmo started rolling in this week, some pretty notable names already in Cabarello, Mort, Green Majik, Nelson79, and the ever Tecmo improving NHL94 god known as Angryjay93 all signed up. I was extremely stoked and surprised when the owner of Player 2 Arcade Bar in Appleton, WI asked me if this would be a cool prize for sponsorship at our Tecmo tournament February 22nd. I'll let you be the judge. BTW, Player 2 Arcade Bar is a fantastic place to hang out, and play classic arcade games and pinball. They even modded their SNES Playchoice to play a NHL94 cartridge. Our friends at Press Start Games have again stepped up to help sponsor the event weekend. We will be giving away 3 gift cards over the weekend thanks to them! We are please to announce that the winner of this Tecmo Super Bowl tournament will earn free entry to Mort's Tecmo Players Championship, tentatively slated for April 6th, 2019 in Chicago Illinois. This is a $100 value, and up for grabs to the best player come February 22nd! A big thanks to our newest sponsor, Titletown Financial Services LLC, who is providing pizza for us Friday February 22nd during the Tecmo Super Bowl tournament! We are very pleased to announce that Green Bay Packers all time leading rusher Ahman Green will be at the tournament competing in and helping commentate the action all weekend! Ahman is also part owner of our broadcast sponsor, TGFN. 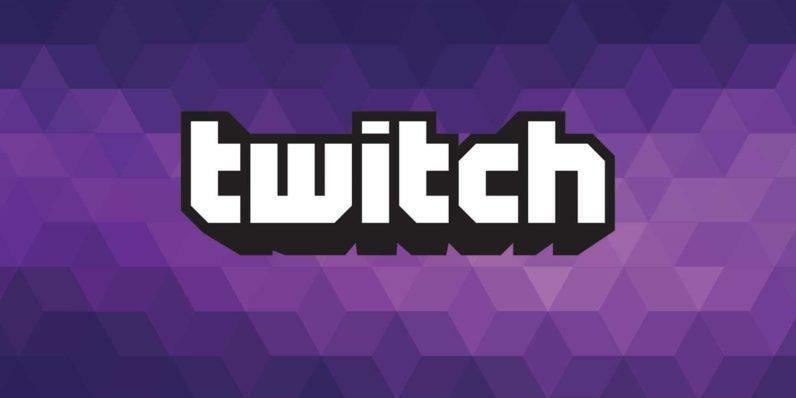 Together we will be streaming the action on twitch.tv/tgfnretro. Details regarding how to obtain an autograph from Ahman while at the same time blessing someone in need will be announced before the day of the tournament. Super excited for this 2 day tournament. As an NHL 94 newbie I'm excited to get better and show some of the good players what I got. What I also know is the Tecmo side of it is going to be very fun. As you all know Green Bay has a great crowd of people and the state of Wisconsin has tons of Tecmo'ers. Come out and play some Tecmo Friday with us Chicago boys. Confirmed, will be live 2PM EST on www.twitch.tv/trugamefanstv, talking about the tournament weekend with Ahman Green and Nyxi! Things got a bit delayed due to some technical challenges, but here's the clip where I'm on talking mostly NHL94, but Tecmo does get a mention in there too. Enjoy! Our turnout for Tecmo is looking very decent considering it's on a Friday night. Due to time constraints we may be imposing a 32 person limit on this. If you are wanting to be in on this make sure to send in your payment to lock in your spot. Happy to announce that during Saturday's events, free pizza will be provided courtesy Kos Realty Group! I'll be on the "Why Not" Venture Wisconsin show with Ahman Green tonight, estimated start time 5:30 CST. We will be talking about our NHL94 and Tecmo Super Bowl tournaments. Hey everyone! We released a promo video out there. Would certainly appreciate any shares out there on FB, YT, or Twitter. Our current TSB cap is 32 players for this tournament due to time and space(estimated room for 16 setups) Between playing sponsors and paid players, we are at 27 players. While two of us(Myself and Baconfan) can step out to allow someone else paying in, we are still getting close to full. We are not competing against the Brewers this time, and we are only allowing digital payment, so we don't expect many(if any) cancellations from currently signed up players. We don't wish to turn anyone away, so if you were planning on being a part of the fun, please sign up! Super excited about Barry Melrose next weekend!!! This will be my second time coming to an Edge of '94 event. Last year was a total blast. Got a lot of NHL games in and had a lot of fun watching a very competitive finals. I am excited to play in the Friday night Tecmo tournament for the first time. During Tundra I was pleased to find there is a strong core or solid Tecmo players in the Green Bay area. I hope the GB guys are ready, cause the Chicago boys are looking to make some noise!! I'm also looking forward to all this pizza that is being mentioned. Looks like I just need to bring some coconut water and I'll be good to go . Props to @trojan1979 / Troy for always having awesome sponsors, prizes, and an overall well-run tournament. I'm looking forward to seeing what all Edge VR Arcade has to offer. Last year I played some nifty VR games - one of them was a flying sim. I was too chicken to follow through with it, but I'm looking to be braver next year! See you all next weekend !! Thanks for the kind words GM! So far we are rocking about 27 players for Tecmo, and about 31 for NHL94. Definitely could use more, but the overall participation is up from last year's weekend. We are hoping for a few more 94 players to come out of the woodwork and get their sign ups in.